Noyelles-sur-Selle is a village and commune in the Department of the Nord, on the river Selle, 22 miles South of Denain. 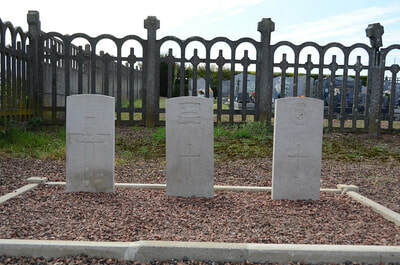 In the South-West corner of the Communal Cemetery are buried five soldiers from the United Kingdom, two of whom died in December, 1917, as prisoners, and three in the fighting in October, 1918. 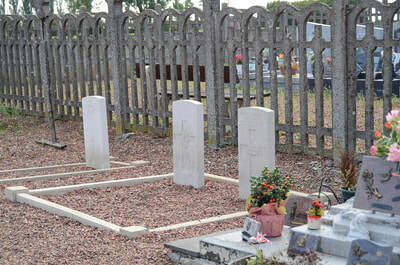 There is also one World War Two burial here. 212206 Private William Armour, 1st/6th Bn. Argyll and Sutherland Highlanders, died 20th October 1918, aged 20. 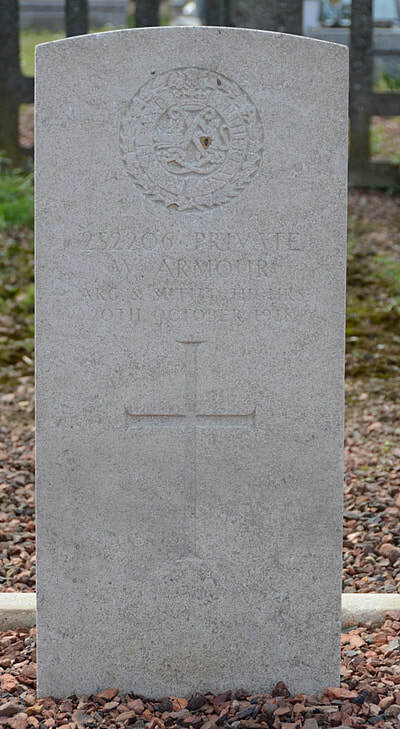 Son of Patrick and Margaret Shields Armour, of Johnstone, Renfrewshire. 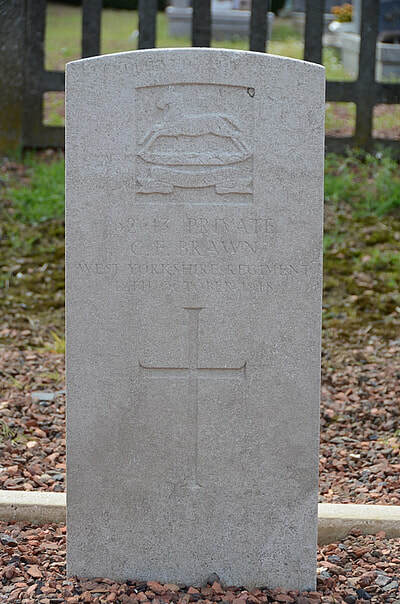 62613 Private C. F. Brawn, 1st/6th Bn. West Yorkshire Regiment (Prince of Wales's Own), died 12th October 1918. 631476 Bombardier William Corscadden, D" Bty. 255th Bde. Royal Field Artillery, died 23rd October 1918, aged 25. 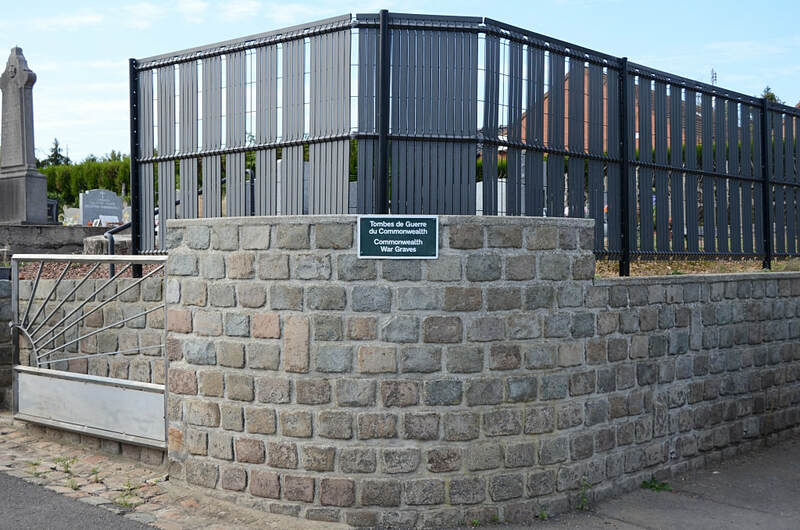 Husband of Fanny Corscadden, of 199, Bouverie St., Port Glasgow. 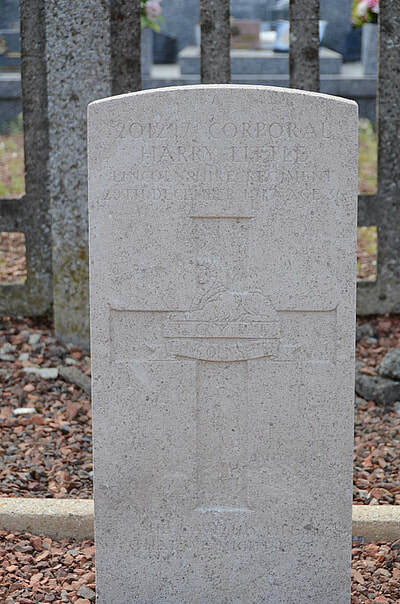 201297 Private Harry Little, 2nd/4th Bn. 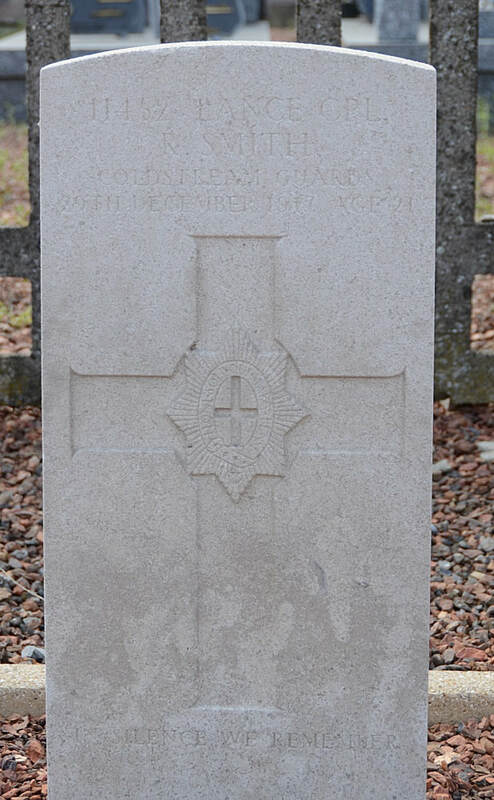 Lincolnshire Regiment, died 29th December 1917, aged 36. Son of Henry Little, of South Kelsey, Lincoln. 11452 Lance Corporal R. Smith, 1st Bn. 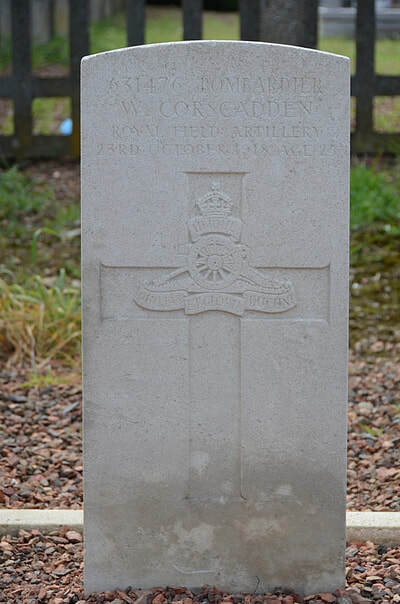 Coldstream Guards, died 29th December 1917, aged 21. Son of Walter and Emma Smith, of 29, Abbey St., Holderness Rd., Hull. 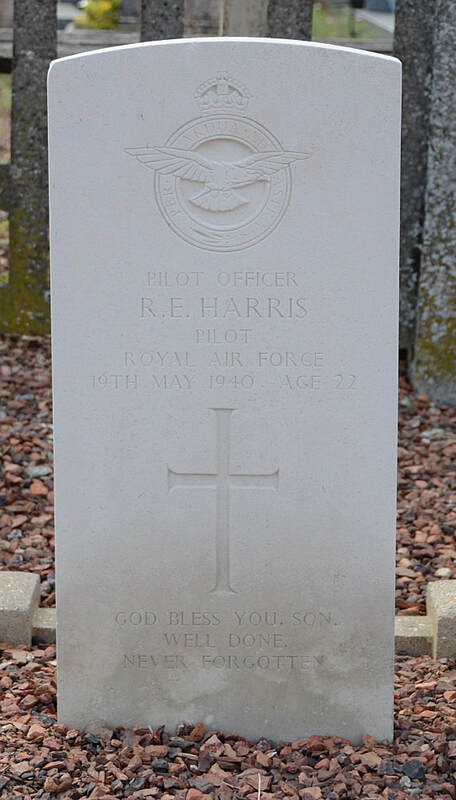 33449 Pilot Officer Robert Edward Harris, Pilot in 17 Squadron, Royal Air Force, died 19th May 1940, aged 22. Son of Edward Gregory and Althea Harris, of Stert, Wiltshire.